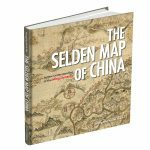 The Selden Map of China: A New Understanding of the Ming Dynasty will be published in June 2019. Dating from the seventeenth century at the height of the Ming Dynasty, the Selden Map of China reveals a country very different from popular conceptions of the time, looking not inward to the Asian landmass but outward to the sea. Discovered in the stacks of the Bodleian Library, this beautifully decorative map of China is in fact a seafaring chart showing Ming Dynasty trade routes. It is the earliest surviving example of Chinese merchant cartography and is evidence that Ming China was outward-looking, capitalistic and vibrant. Exploring the commercial aims of the Ming Dynasty, the port city of Quanzhou and its connections with the voyages of the early traveller Zheng He, this book describes the historical background of the era in which the map was used. It also includes an analysis of the skills and techniques involved in Chinese map-making and the significance of the compass bearings, scale and ratios found on the map, all of which combine to represent a breakthrough in cartographic techniques. The enthralling story revealed by this extraordinary artefact is central to an understanding of the long history of China’s relationship with the sea and with the wider world. Hongping Annie Nie is a Teaching and Research Associate of the University of Oxford China Centre and a Senior Member of St Anthony’s College, Oxford. In this podcast, Roderic Wye and Professor Rosemary Foot explore how China’s engagement with the UN is evolving in the areas of peace and security, looking in particular at the rise in China’s involvement in peacekeeping. 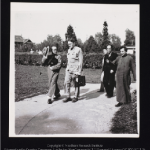 Gordon Barrett recently gave a paper on ‘Chinese International Science and the Cultural Cold War’ at the Centre for the History of Science, Technology and Medicine, University of Manchester. In Nov 2018, the Forum on Health, Environment and Development (FORHEAD) released its report Air Pollution in China: an Interdisciplinary Perspective. It provides an analysis of the current state of air pollution in China, the drivers and sources of pollutants, the scientific challenge in understanding air pollution and its health effects, and an assessment of recent policies and governance challenges. The report combines scientific research results with multi-layer policy evaluation and offers an in depth case study of air pollution in the Beijing-Tianjin-Hebei region and policies to address it. It notes the impressive achievements that have been made in tackling air pollution in recent years, but argues that more detailed analysis is needed of the different costs and benefits associated with various policy measures and distributional effects. 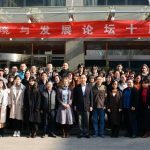 The Forum on Health, Environment and Development (FORHEAD), of which OSGA’s Dr Jennifer Holdaway is co-Director, held its 10th anniversary conference at the Institute of Geographic Sciences and Natural Resources Research (IGSNRR), Chinese Academy of Sciences, Beijing, 8-10 November. 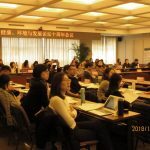 This year’s conference brought together natural, medical and social scientists as well as corporate, media and NGO professionals to review progress in environment and health research in China and related policy over China’s forty years of reform and opening-up. Conference themes included: the emergence and development of environment and health as a policy issue and topic of research; focused panels on agriculture, food, the pork sector and the impacts of different development strategies on rural environmental health; China’s War on Air Pollution; and the role of NGOs in environment and health. The core FORHEAD team also discussed what can we learn from our experience in promoting and building capacity for interdisciplinary research on environment and health and priorities for future work. 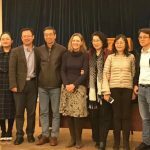 FORHEAD Co-Directors Dr Jennifer Holdaway (fourth from the left) and Professor Wang Wuyi (third from the left, IGSNRR, Chinese Academy of Sciences), with other members of the Advisory Committee (Li Liping of Shantou University, Fang Jing of Kunming Medical School and Zhou Zhijia of Xiamen University- 5th, 6th and 7th from the left). Rosemary Foot has published an essay on China in the latest edition of International Affairs, January 2019, 95(1): ‘Remembering the Past to Secure the Present: Versailles Legacies in a Resurgent China’. Miriam Driessen published an essay, titled ‘The Restless Earth,’ in the latest issue of the FT Weekend (15/16 December). 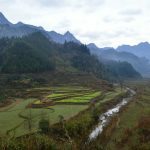 The online version of the essay, titled ‘The fight for survival in China’s abandoned rural towns,’ can be found here. 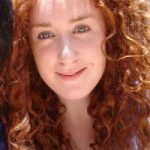 Ros Holmes, Associate of the China Centre, has won the British Association for Chinese Studies (BACS) Early Career Researcher Prize 2018 for her essay ‘Bad Citizens and Symbolic Subjects: Wang Jin, Zhou Tiehai and the Art of (In)Civility’. The prize was won in 2016 by Pamela Hunt, currently a Leverhulme Early Career Fellow based at the China Centre, for her essay ‘Drifiting Through the Capital: “Floating” Migrants and Masculinity in Xu Zechen’s Fiction’. Hamsa Rajan gave a talk via Skype at the Max Planck Institute for Evolutionary Anthropology in Leipzig, Germany, on 8 October. Her talk, entitled ‘Cultural Differences and Fieldwork’, was part of the Institute’s Gender Inequality Symposium, held to discuss gender inequality in academia. Hamsa Rajan’s talk covered questions of cultural differences in gender relations and how to approach and deal with these when undertaking fieldwork far from home. 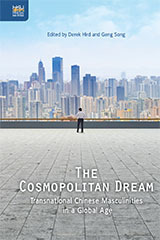 Pamela Hunt and Miriam Driessen both published a chapter in The Cosmopolitan Dream: Transnational Chinese Masculinities in a Global Age (HKUP, 2018), edited by Derek Hird and Geng Song. The edited volume explores both the representation and enactment of transnational Chinese masculinities. Pamela’s chapter is titled ‘Global and Local Phallic Creativity: Intertextuality in Feng Tang’s Construction of Masculinity’, and Miriam’s chapter ‘Just Fathers: Negotiating Chinese Fatherhood from Afar’.